After a movie outing at the local cinemas on Van Ness with some friends we were looking for a local eatery. For those not familiar with the layout of San Francisco this is a major thoroughfare through the city and not really prone to local eateries. 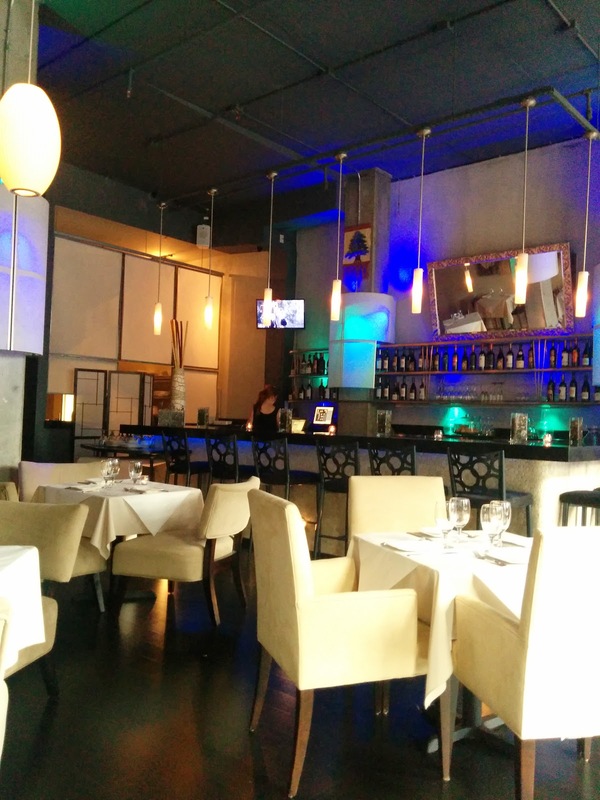 There are some great diners nearby but we were looking for something a little more refined. 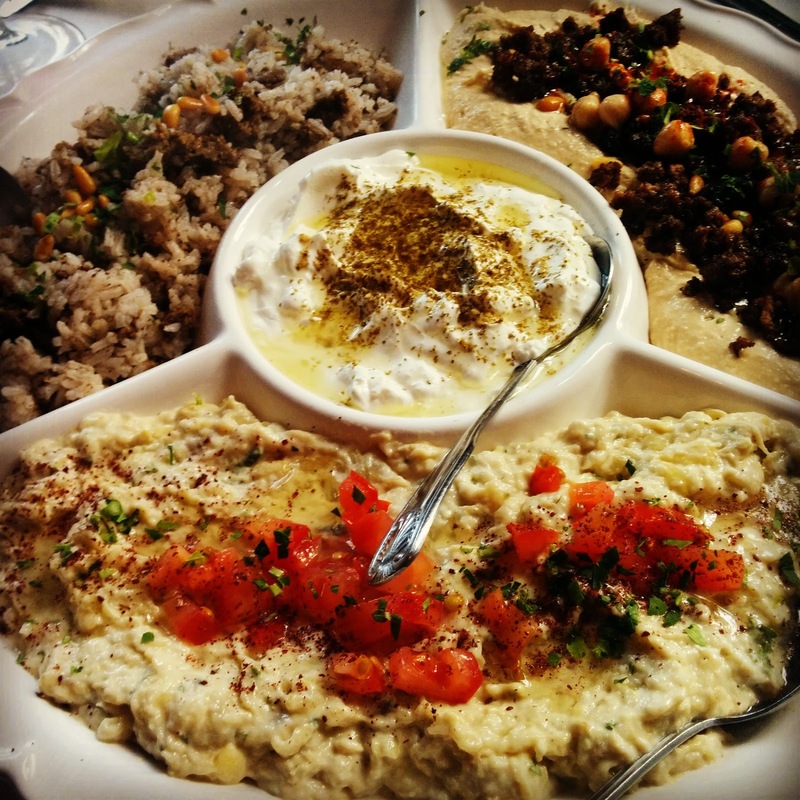 Mazza Luna is a wonderfully authentic Lebanese small plates restaurant. Now it was early on a Sunday evening that we were going for dinner but I admit I was scared by the lack of patrons on arrrival. We shouldn't have been worried though since the restaurant was soon packed with cheery diners. Given that we had a group we decided on the banquet option - all of the restaurant's best dishes in portions that you would be hard pressed to finish. Despite having several ravenous foodies at the table we ended up taking most of the food home at the end of the meal. I will say that their wine list is not that great and featured heavily on strong Mediterranean wines. 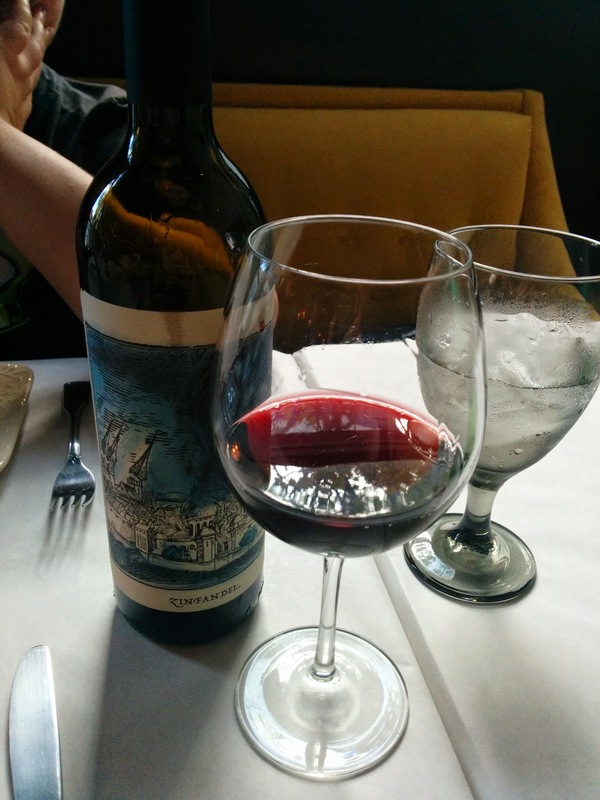 They were out of most of the items I wanted to order but this local Zinfandel was more than adequate and soft enough to sit well with the salty and rich food. It's important to note that there were a couple of dishes we were really craving that were not included in the group sampler and so we ordered separately. 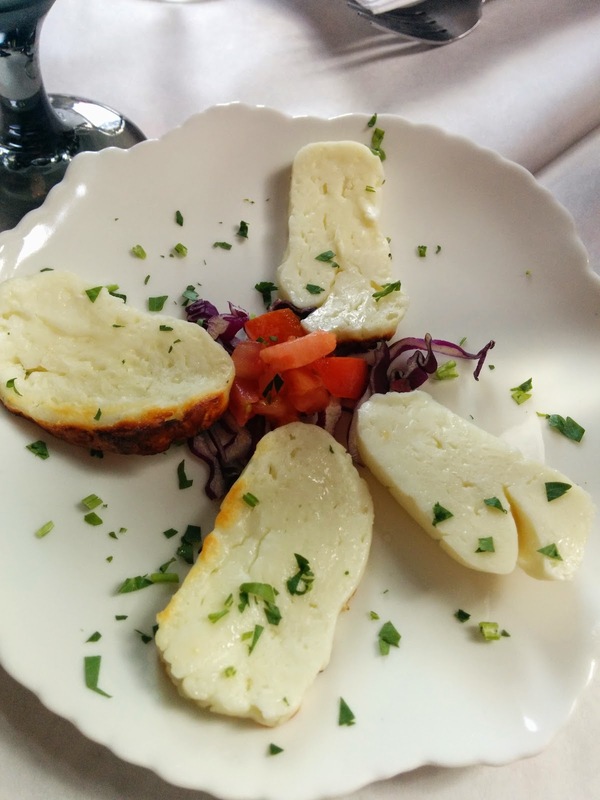 This haloumi was amazing; I assume it is made on site or at the very least from a local cheese specialist. Fresh, morish, soft and not too salty. Just perfect with wholemeal pita. Also not included with the banquet, but too amazing to pass up. 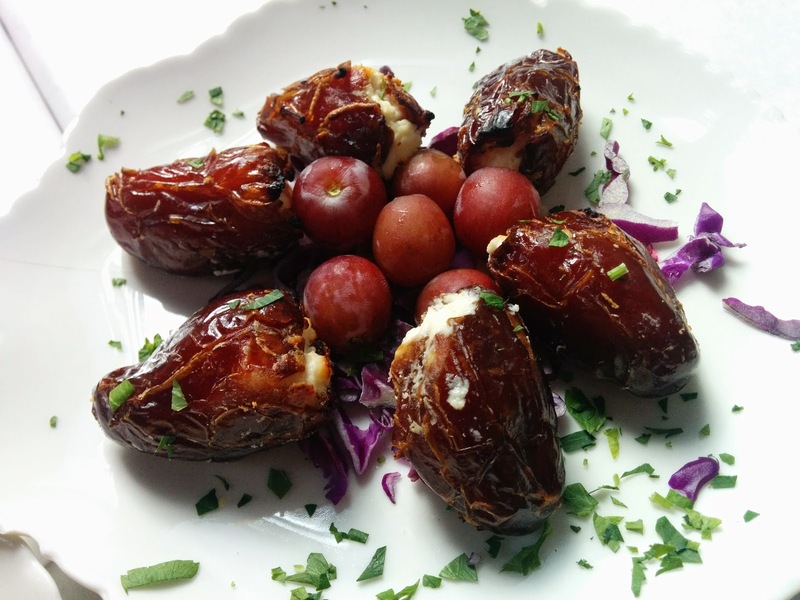 Roasted dried palm fruits were stuffed with a soft goat cheese and served warm. The sticky dried fruit makes it hard to eat more than a couple but these were amazing and I will be recreating this dish at home. The rest of the food was included with our sampler at a cost of $22.00USD per person and well worth every penny. The servings were fit for a sultan and came with seemingly endless fresh high quality pita bread. All made in house and with great fresh textures; topped with amazing garnishes like fresh spices, pine nuts and roasted lamb. 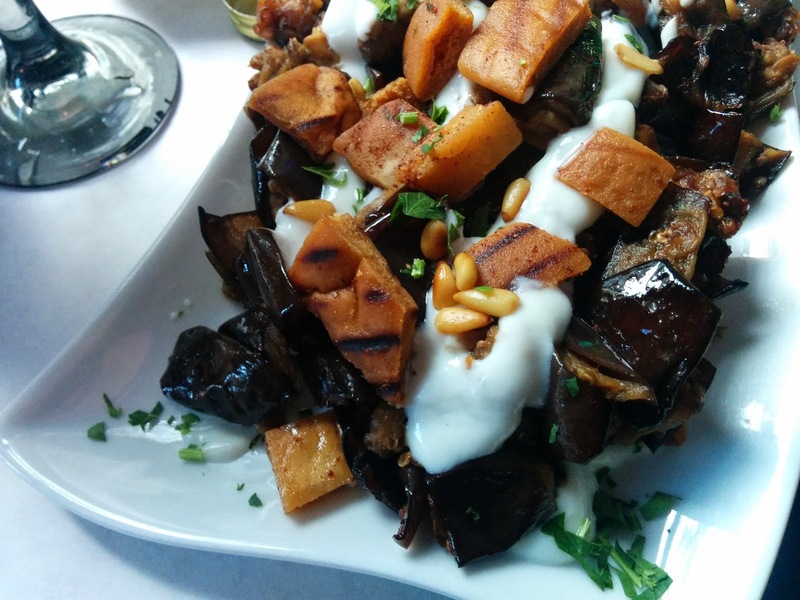 Sweet soft roasted eggplant is covered with a tangy yoghurt sauce and toped with fried pita and pine nuts. Just amazing, the texture of the vegetables was fantastic. 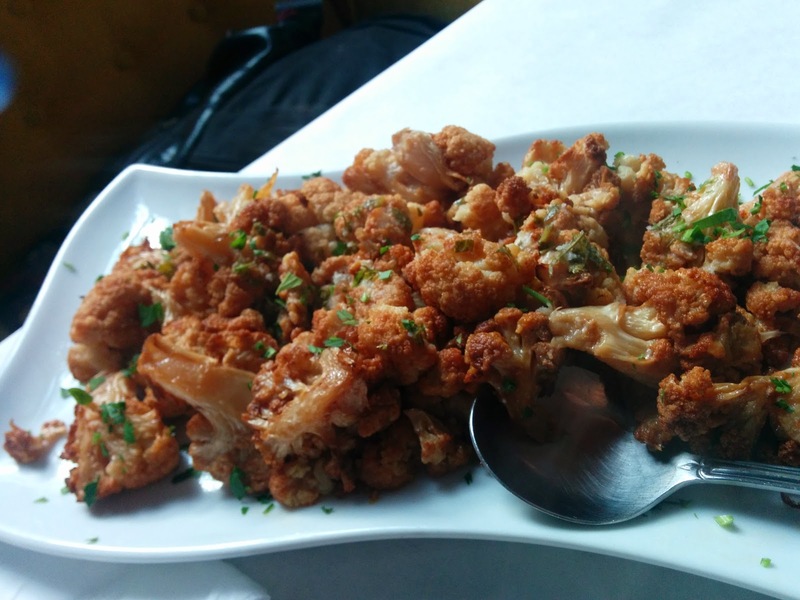 Fried, spiced cauliflower topped with a garlic tahini sauce. This dish reminds me of Aloo Gobi the Indian cauliflower dish. 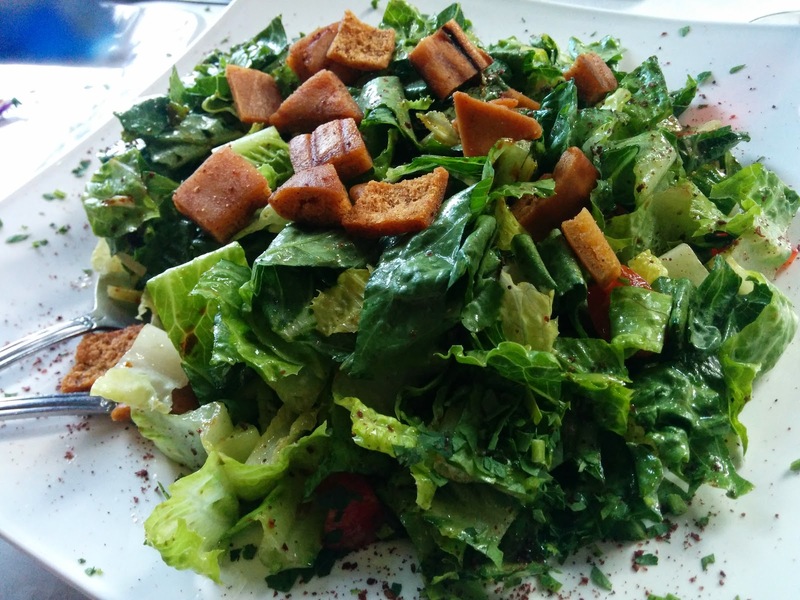 A fresh light salad topped with more crunchy fried pita. The mint/citrus dressing on this salad was double take worthy and cut through some of the heavier dishes on display. The small plates and dips really lend themselves to a family style serving and the group sampler was the perfect way to try their food. A Vegetarian banquet also exists; in fact owing to the family style pick and choose approach and the type of food this would make a perfect location for groups with many food issues. Vegetarians, vegans, lactose intolerants and low carb eaters could all easily choose from the menu here. Service was unremarkable given the family style eating, but the food did come very fast and fresh. Highly recommended.